Asset forfeiture reform is moving in Michigan, Texas is about to end its ban on food stamps for drug felons, Brazil's high court takes up a case that could lead to drug decriminalization, the Teamsters and other labor groups pan hair drug testing, and more. Ohio Chamber of Commerce Joins Opposition to Legalization Initiative. The Ohio Chamber of Commerce said Wednesday it would "strongly oppose" the ResponsibleOhio legalization initiative and will donate $100,000 to defeat it at the polls. The chamber cited worries over workplace safety. The initiative campaign said it was not surprised, given that chambers of commerce in other states where legalization has been an issue have always opposed it. Michigan Asset Forfeiture Reform Package Wins Senate Panel Vote. The Senate Judiciary Committee Wednesday approved a package of bills reforming civil asset forfeiture. House Bills 4499 and 4503-4506 all passed unanimously. Five of the bills increase reporting requirements for law enforcement agencies, while two bills would raise standards in drug and public nuisance forfeiture cases from "a preponderance of evidence" to "clear and convincing evidence." The committee did not vote on House Bill 4508, which would have barred the seizure of vehicles used to purchase less than an ounce of marijuana, after committee lawyers said it would legalize marijuana. Texas to End Ban on Food Stamps for Drug Felons. Beginning September 1, Texas becomes the latest state to opt out of a federal ban on food stamps for drug felons that was enacted as part of the 1996 federal welfare reform bill. Many states opted out immediately, and now only a handful maintain the ban. They are Alaska, Georgia, Mississippi, South Carolina, West Virginia and Wyoming. 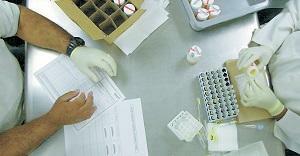 Teamsters, Other Unions Urge House to Reject Hair Testing. A coalition of labor groups has sent a letter to House lawmakers dealing with transportation issues asking them to reject a recent Senate proposal to let trucking companies use hair testing for drugs instead of urine testing. The Senate proposal is part of a six-year highway bill. "We urge the Transportation and Infrastructure Committee to reject efforts to allow hair to be used for federal drug tests before the validity and reliability of this testing method can be determined by the Department of Health and Human Services, the groups, including the Teamsters and a branch of the AFL-CIO, wrote. Urine testing, which detects recent drug use, has "proven effective," the groups said. Hair drug testing detects drug use going back months. Third Indiana County Gets Emergency Needle Exchanges. The state health commissioner has declared a public health emergency in Fayette County because of high levels of Hepatitis C infections. That will allow the county to institute needle exchange programs. Similar emergencies were declared earlier this year in Scott and Madison counties. Brazil Supreme Court Considering Case That Could Lead to Drug Decriminalization. On Wednesday, the country's high court began arguing the case of a prison inmate caught with three grams of marijuana and charged with drug possession. Sao Paulo state public defenders are pushing for the conviction to be overturned on the grounds that the charge is unconstitutional because it violated citizens' privacy rights. The judges are continuing to consider the case today, with a ruling expected shortly. New Canada Poll Has Two-Thirds for Marijuana Decriminalization. A new Ipsos poll has 65% of Canadians favoring decriminalization, with 35% opposed. "Doesn't matter where you live in the country, a majority of every demographic group supports decriminalization," said pollster Sean Simpson. Support was at 39% in 1987 and increased steadily since then. 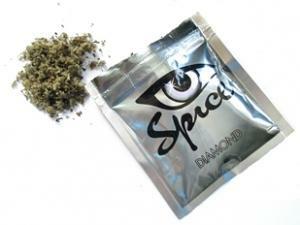 New psychoactive substance like these synthetic cannabinoids face bans, not regulation. Ohio Will Vote on Marijuana Legalization This November. Ohio Secretary of State Jon Husted announced Wednesday afternoon that the ResponsibleOhio marijuana legalization has qualified for the November ballot. Husted reported that the initiative campaign had collected 320,267 valid voter signatures; it needed 305,000 to qualify for the ballot. The initiative is controversial among marijuana legalization supporters because it creates a "monopoly" of ten allowed locations for commercial marijuana grows, which are owned by the people who funded the campaign. The initiative would also create a system of licensed marijuana processing facilities and retail outlets. And it would allow individual Ohioans to grow and possess small amounts of marijuana. Oakland Again Considers Licensing Medical Marijuana Farms. The city is in the process of crafting regulations and issuing licenses for medical marijuana grows, as well as other marijuana-related businesses. The city had proposed something similar in 2011, but retreated after federal prosecutors criticized the plan. But now the federal position has changed, and Oakland is ready to try again. UFCW Official Accused of Taking Bribes from Dispensaries. Dan Rush, the executive director of the United Food and Commercial Workers (UFCW) cannabis division, has been charged in federal court with taking bribes or kickbacks to endorse potential dispensary operators. The feds accuse Rush of taking a $600,000 loan from one dispensary operator, and when he was unable to repay it, working with an attorney on "steps to provide various labor benefits to the (dispensary operator), including union support for opening dispensaries and reducing or eliminating pressure to unionize dispensary workers," the complaint says. Oregon Governor Signs Medical Marijuana Task Force Bill. Gov. Kate Brown (D) has signed into law Senate Bill 844, which establishes a task force to research the medical and public health properties of marijuana. The task force will make a report with recommendations to the legislature on developing a medical marijuana industry that supplies patients with products that will meet their needs. New York Lawmakers Want Tougher Laws Against "Fake Marijuana." Last week, Gov. Andrew Cuomo (D) imposed an emergency ban on the sale of synthetic cannabinoids, but legislators want more. "Unfortunately, it is not doing the trick," said state Sen. Jeff Stein (D-Bronx). "We need a law on the books in Albany and we need a law right now. Synthetic marijuana is dangerous and poses a very real public health threat to New Yorkers, their families and children." He's supporting a bill that would make selling more than 25 grams of the stuff a felony punishable by up to five years in prison. Boston City Council Bans "Fake Weed." The city council voted Wednesday to ban the sale of synthetic cannabinoids, commonly referred as "fake marijuana" or "synthetic marijuana." People caught selling the stuff will face a fine of $300, and police can now seize the drug. Maine Welfare Drug Testing Program Has Found Only One Drug User. The state began screening welfare applicants in April, but so far only one person has tested positive for drugs. The program screens all applicants for "reasonable suspicion" of drug use or if they have drug felonies, then subjects those it deems likely to be drug users to drug testing. But only 15 people have been referred to drug testing. Thirteen were blocked from receiving benefits because they didn't show up for either the initial screening or the drug test, and one tested positive. The results are in line with results from other states, whether drug screening and testing has also found very small numbers of drug users. British Pot Farm Raids Decline. The number of police raids on commercial marijuana grows dropped by more than 17% last year. Observers cited law enforcement budget cuts and other factors. "Recent budget cuts appear to be reducing the amount of proactive policing that's going on," said Matthew Atha of the Independent Drug Monitoring Unit. "One of the main methods of detecting cannabis growers is police helicopters with infrared cameras and they cost a lot of money to keep in the air." This year, some British police forces have said they were going to deprioritize marijuana enforcement, but that wouldn't explain the decline last year. Ohio election officials have disqualified more than half the signatures gathered for the ResponsibleOhio initiative, but the battle isn't over; a Michigan legalization initiative gets rolling, an Oklahoma report raises the curtain on asset forfeiture abuses, and more. Will they make the ballot or not? Check back in 10 days. Ohio Officials Say ResponsibleOhio Initiative Short on Signatures, But… The office of Secretary of State Jon Husted said today that the ResponsibleOhio legalization initiative had come up 29,000 signatures short of qualifying for the ballot. The campaign had gathered nearly 700,000 and needed only 305,000 to qualify, which would suggest a bad signature rate far, far above what the conventional wisdom suggests, maybe 25% or 30%. But it ain't over yet. ResponsibleOhio now has 10 days to try to make up the shortfall, and it says it will go to the state Supreme Court to fight over some 40,000 signatures that "remain unaccounted for" in the secretary of state's tally. Michigan Legalization Initiative Kicks Off Signature Gathering Drive. Supporters of the Michigan Legalize initiative held a volunteer kickoff meeting in Marquette last Saturday. They will need to gather some 315,000 valid voter signatures to qualify for the 2016 ballot. There is at least one competing initiative in the state, too. Michigan Cops Raid Medical Marijuana Dispensaries. Police departments in the greater Detroit area have shut down several dispensaries in the past week, in some cases bringing felony charges against the operators. Raids, arrests, and seizures took place in Shelby Township and Detroit last week. While the city has an estimated 180 dispensaries, they are illegal under the state's medical marijuana law. Oklahoma Reports Show Asset Forfeiture Abuses. Audits by the State Auditor and Inspector's Office for the past five years show many district attorneys didn't have formal policies for dealing with seized property and that, in many cases, police didn't keep inventories of seized items. In some cases, seized money was spent before in was legally forfeited; in others, forfeiture cases were never filed for seized money. The report also found that seized money was used to pay for retirement plaques, a retirement party, doughnuts for a "spring roundup," and for a prosecutor's student loans and house rental. In the latter case, the prosecutor justified the rent payments saying that he spent most of his time on drug cases. Click on the link for more. Indiana Town to Stop Drug Testing Welfare Applicants… For Now. Black Township has agreed to stop drug testing applicants to its public assistance program until a lawsuit over whether the practice is constitutional is decided. The ACLU of Indiana filed the lawsuit in federal court in June. The judge in the case last week signed an order approving the agreement to stop drug testing until the case is settled. New Jersey Governor Signs Prescription Monitoring Bill. Gov. Chris Christie (R) has signed a bill that will expand and tighten the state's prescription management program, one of a series of bills intended to combat the state's problem with heroin and prescription opiate use. The bill requires all doctors to register for the program and to check the program when patients return for a second refill on medications. The law is part of a 21-bill package targeting opioid and heroin abuse in New Jersey. Australia Greens Call for Adoption of Portugal Drug Model. The Australian Green Party is calling for the country to follow the example of Portugal and decriminalize drug possession. It says Australia's current drug policies have failed, and the Portuguese model is the best path forward. Florida Legalization Initiatives Filed. At least two marijuana legalization initiatives have been filed with the secretary of state this month. One would direct revenues generated by legalization to pay teacher salaries. Neither appears to be a serious, well-financed effort. They will need 680,000 valid voter signatures to make the 2016 ballot. South Dakota Decriminalization Initiative Filed. A group of activists has filed an initiative to decriminalize the possession of an ounce of less of weed in the state. The effort is being led by South Dakotans Against Prohibition, and is being portrayed as providing protections to medical marijuana patients as well as recreational users. A medical marijuana initiative in the state is already in the signature gathering phase. DC Mayor Signs Into Law Bill With Harsh Civil Penalties for Selling Synthetics. Mayor Muriel Bowser (D) last Friday signed into law a bill that imposes harsh penalties on retail outlets selling synthetic marijuana. The legislation gives the DC Metro Police immediate authority to close businesses found selling the drugs and gives the mayor the power to impose a $10,000 fine. Wisconsin Governor Modifies Food Stamp Drug Test Bill, Removes "Reasonable Suspicion" Requirement. Gov. Scott Walker (R) signed his state budget into law Sunday, but not before making two changes in the part of the law that authorizes drug testing of food stamp recipients. The testing was limited to people whom state workers had "reasonable suspicion" were using drugs, but Walker removed that language, saying there shouldn't be limits on who it can drug test. That means the law will almost certainly face a constitutional challenge since similar suspicionless, mandatory drug testing laws have been overturned by the federal courts. Walker also removed language that would have provided free drug treatment to people who tested positive. He officially announced today that he is seeking the GOP presidential nomination. Obama Commutes Sentences for 46 Drug Offenders. President Obama announced today he has granted clemency to dozens of federal inmates, the vast majority of them sentenced under draconian crack cocaine laws. More than 30,000 federal prisoners have applied for clemency since the Obama administration issued a call for them to do so last year. Click on the title link for our feature story on this. Chapo Guzman Breaks Out of Mexican Prison. In a huge embarrassment to the Mexican government, imprisoned Sinaloa Cartel leader Joaquin "El Chapo" Guzman tunneled his way to freedom out of the Almoloya de Juarez maximum security prison west of Mexico City Saturday night. This is the second time Guzman has broken out of a Mexican prison. In 2001, he escaped from another high-security prison and wasn't recaptured until last year. 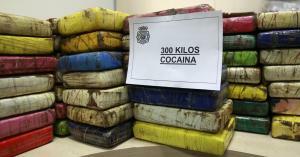 Guzman is likely the world's wealthiest drug trafficker. 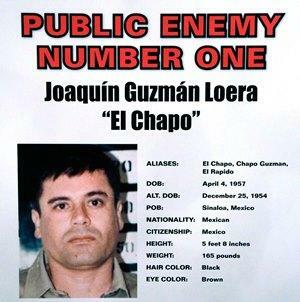 His cartel is responsible for tens of thousands of killings in Mexico's drug war in the past few years. Midwest marijuana news dominates today, with the Illinois Senate approving decriminalization and medical marijuana extension bills, a prominent Ohio law enforcement figure endorsing a legalization initiative and the state attorney general rejecting another one, and more. Illinois Senate Passes Decriminalization Bill. The state Senate Thursday approved House Bill 218, which would decriminalize the possession of up to 15 grams of marijuana, replacing the possibility of jail time and a criminal record with a maximum $125 fine and no criminal record. The bill has already cleared the House, but will not go to the governor's desk until sponsors get some additional cleanup language approved. Former Cincinnati Police Chief Endorses Ohio Legalization Initiative. Former Cincinnati Police Chief Tom Streicher has come out in favor of the controversial ResponsibleOhio pot legalization initiative. "Our state spends over $120 million per year to enforce marijuana prohibition, even though we all know these laws do not work," Streicher said. "Law enforcement should instead be able to spend their time and their resources cracking down on the real criminals." 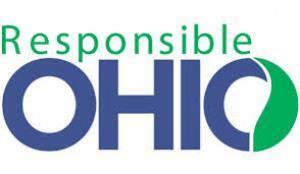 ResponsibleOhio is the midst of a signature-gathering campaign to qualify for the November 2015 ballot. It needs more than 300,000 approved voter signatures to qualify, but says it has 320,000 raw signatures right now and aims to gather 800,000 by the July deadline. Ohio Attorney General Rejects Language for Third Legalization Initiative. Attorney General Mike DeWine Thursday rejected the ballot summary language for a third statewide legalization initiative, the Ohio Cannabis Control Amendment from Ohioans to End Prohibition. Two other initiatives, from ResponsibleOhio and Better for Ohio, have already been approved and are in the signature-gathering phase. Now, Ohioans for Prohibition will have to gather another 1,000 signatures and resubmit modified language if it wants to move forward. Illinois Senate Approves Extension of Medical Marijuana Program. The state Senate voted 33-16 Thursday to approve House Bill 3299, which would extend the program by two more years. The measure has already passed the House and is headed for the desk of Gov. Bruce Rauner (R), but it's unclear if he will sign it. He has said he didn't think the program should be extended until it's been fully evaluated -- but it hasn't even really started. Nebraska Legislature Approves CBD Cannabis Oil Study Bill. The state Senate Thursday gave final approval to Legislative Bill 390, under which the University of Nebraska Medical Center would study the effectiveness of CBD in treating epileptic seizures. Gov. Pete Ricketts (R) now has five days to act on the bill. Washington Supreme Court Upholds Local Collective Garden Bans. The state Supreme Court ruled 8-1 Thursday that the city of Kent can ban medical marijuana collective gardens. The decision upheld lower court rulings allowing cities to impose bans via zoning regulations. The case was Cannabis Action Council v. City of Kent. Maine Committee Rejects Governor's Food Stamp Drug Testing Bill. The legislature's Health and Human Services Committee voted 6-5 on party lines to reject LD 1407, Gov. Paul LePage's (R) bid to impose drug testing on food stamp recipients. That doesn't mean the bill is dead, though; it is still likely to be debated in the House, and the question will be whether the Democrats can hold their caucus together in opposition. North Carolina Jail Becomes First in South to Offer Naloxone to Released Inmates. The Durham County Detention Facility last month began distributing overdose reversal kits to inmates being released in a bid to cut the overdose rate among the newly freed whose tolerance to opiate drugs has been reduced by the jail stays. The formerly incarcerated are more than a hundred times more likely to die of drug overdoses in the first two weeks after their release than the general population. Iceland Support for Marijuana Legalization Doubles, But Still Low. Nearly one quarter (24.3%) of Icelanders now support marijuana legalization, up from 12.7% in 2011, a new survey finds. Men were more supportive than women (31% v. 16%), and the youth were more supportive than older cohorts, but even among people under 30, support was only at 43%. Marijuana continues to dominate the drug policy news, plus public benefits drug testing bills move in Maine and Wisconsin, the NYPD decides not to bust middle-aged dopers, and more. Bernie Sanders Mellow on Marijuana. The Vermont senator seeking the Democratic presidential nomination hinted at support for marijuana legalization during a Reddit question and answer session Tuesday, although he did not explicitly call for it. "I can tell you very few people were arrested for smoking marijuana [when I was mayor]," Sanders said. "Our police had more important things to do." He said he supported decriminalization in Vermont and was watching Colorado closely. "Colorado has led the effort toward legalizing marijuana and I'm going to watch very closely to see the pluses and minuses of what they have done,"Sanders said. "I will have more to say about this issue within the coming months." Louisiana Marijuana Sentencing Reform Bill Wins Committee Vote. The Senate Judiciary Committee Wednesday approved a bill that would reduce the state's draconian marijuana possession sentencing. The measure is Senate Bill 241. Maine Legalization Bills Get Hearing. The Criminal Justice Committee Wednesday heard testimony on a pair of marijuana legalization bills. Sponsored by Rep. Diane Russell (D-Portland), LD 1380 and its companion bill in the Senate would craft a regulatory structure for pot commerce and then put it before voters. If the legislature fails to act, the state could see two legalization initiatives next year. Second Ohio Pot Legalization Initiative Certified for Signature-Gathering. The secretary of state's office has certified a legalization initiative from Better for Ohio, which means the group can now commence trying to gather the 306,000 signatures needed to qualify for this year's November ballot. Another group, ResponsibleOhio, is already in the signature-gathering phase. No Decriminalization Initiative for Nashville. An effort by TN-NORML to put a marijuana decriminalization on the municipal ballot this year has apparently fallen short. Monday was the deadline day for handing in signatures, and TN-NORML didn't hand any in. Earlier, the group said it had only 4,000 signatures; it needed nearly 7,000 to qualify. Colorado Governor Signs Bill Limiting Medical Marijuana Growers. Gov. John Hickenlooper (D) Monday signed into law a bill that will limit medical marijuana caregivers to growing no more than 99 plants. The bill is Senate Bill 15-014. The bill also allows parents to have someone other than themselves grow medical marijuana for child patients and allows school districts to consider allowing medical marijuana use on campus. Obama Nominates Chuck Rosenberg to Head DEA. FBI senior official and former US Attorney Chuck Rosenberg has been nominated to replace Michelle Leonhart as head of the DEA. For the last 18 months, Rosenberg has served as chief of staff to FBI Director James Comey. He previously served as US Attorney for Southern Texas and US Attorney for Eastern Virginia and has won support from Democrats and Republicans alike. Wisconsin Public Benefits Drug Testing Bill Advances. A bill that would require applicants for welfare benefits, unemployment benefits, job training programs, and health coverage through the state-sponsored program to be assessed for drug use passed the Senate Budget Committee Wednesday. People whose assessments suggest they may be using drugs would have to take and pass a drug test to win benefits. A provision to include food stamp recipients was stripped out because it would likely be challenged by the federal government. The measure is Assembly Bill 192. Maine Bill to Drug Test Food Stamp Recipients Gets Hearing. The Health and Human Services Committee heard Monday from the administration of Gov. Paul LePage (R) about its bill that would require people on the food stamp program to take a written screening test to see if they are using drugs. If the assessment suggested they may be using drugs, they would have to submit to a drug test. People who tested positive could keep their benefits as long as they sought and completed drug treatment. The bill would also bar people with drug felonies from getting food stamps. NYPD To Not Bust Middle-Aged Drug Offenders. The NYPD last week issued a memo instructing its narcs not to bust drug offenders over age 40 and instead concentrate on younger dealers. The department considers younger drug suspects to be more dangerous. Holy Cow! 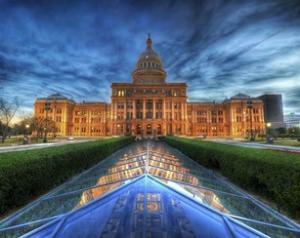 A marijuana legalization bill wins a committee vote in Texas! Also, decrim bills are moving in Delaware and Illinois, welfare drug testing gets shot down by Democrats in Iowa, but advances thanks to Republicans in Wisconsin, and more. Fourth California Legalization Initiative Filed. Busy, busy. Jason Porter and Lara Marie Collinsworth have filed the 2016 California Bipartisan Decriminalization of Cannabis Act. That's the fourth so far this year, and we're still waiting for the big one to drop. This one would legalize up to five pounds for personal possession and allow a 500 square foot garden. It would also force medical marijuana into a pharmacy system. There is a handy spreadsheet on the various proposals here. Delaware Decriminalization Bill Heads for House Floor Vote. A bill to decriminalize the possession of up to an ounce of pot has passed the House Public Safety and Homeland Security Committee after its sponsor, Rep. Helene Keeley (D-Wilmington), said she would revise to address law enforcement concerns. It now includes language making public pot smoking or smoking in a vehicle a misdemeanor with a maximum $200 fine. The cops still oppose it, though. The bill is House Bill 39. Illinois Decriminalization Bill Wins Senate Committee Vote. A bill that would decriminalize the possession of up to 15 grams of pot passed the Senate Criminal Law Committee Wednesday. House Bill 218 has already passed the House and now heads for a Senate floor vote. Texas House Committee Approves Legalization Bill. 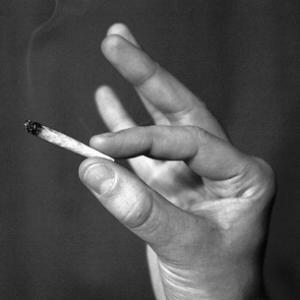 In a surprise move, the House Criminal Jurisprudence Committee approved an outright legalization bill on a 5-2 vote. The bill, House Bill 2165 now awaits a chance at a House floor vote. Illinois Medical Marijuana Extension Heads for Senate Floor Vote. A bill to extend the state's long-delayed medical marijuana pilot program is now headed for a final Senate vote. House Bill 3299 passed the House last month. It would extend the program for four years after the first dispensary opens. Texas Senate Approves CBD Cannabis Oil Bill. The Senate today approved Senate Bill 339, the "Texas Compassionate Use Act," which would allow people with severe epileptic conditions to use CBD cannabis oil. The bill now goes to the House. The House is considering a companion bill, but it has not had a floor vote yet. New Hampshire House Approves Synthetic Drug Bill. The House voted Wednesday to restrict synthetic drugs. The bill, Senate Bill 106, would impose fines on persons who sell synthetic drugs and fines and other penalties on businesses that sold them, but would not penalize personal possession of the substances. The bill has already passed the Senate, but was amended in the House, so it needs to go bac for a final Senate vote. 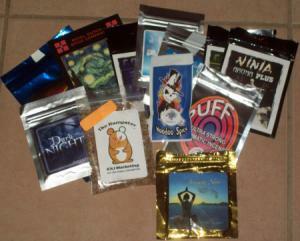 Texas Senate Approves Synthetic Drug Bill. The Senate Wednesday passed Senate Bill 1582, which would allow the state health department to designate new synthetics as "hazardous controlled substances" until the legislature has time to ban them. The bill now goes to the House. Oklahoma Civil Asset Forfeiture Reform Bill Filed. Sen. Kyle Loveless (R-Oklahoma City) today filed Senate Bill 838, the "Personal Asset Protection Act." The bill would require a criminal conviction before asset forfeiture can be undertaken. Although the bill is being filed late in the session, Loveless said it was an important issue and that he would hold an interim study to examine the issue. Iowa Welfare Drug Testing Defeated. Senate Democrats stood firm to defeat a welfare drug testing amendment proposed as part of a health and human services budget bill Wednesday. The amendment was defeated on a party-line vote, 26-23. The Senate also rejected an amendment that would have required drug testing for lawmakers. Wisconsin Welfare Drug Testing Bill Moves. A bill that would require some public benefits recipients to undergo drug testing was approved by the Assembly Committee on Public Benefit Reform Wednesday. The Republican-backed measure is Assembly Bill 192.